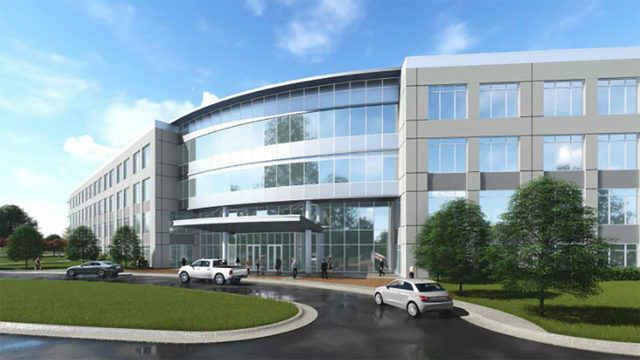 RoundPoint Mortgage Servicing Corp. will build a $34 million headquarters and will kick off development of Southbridge for Lincoln Harris of Charlotte. 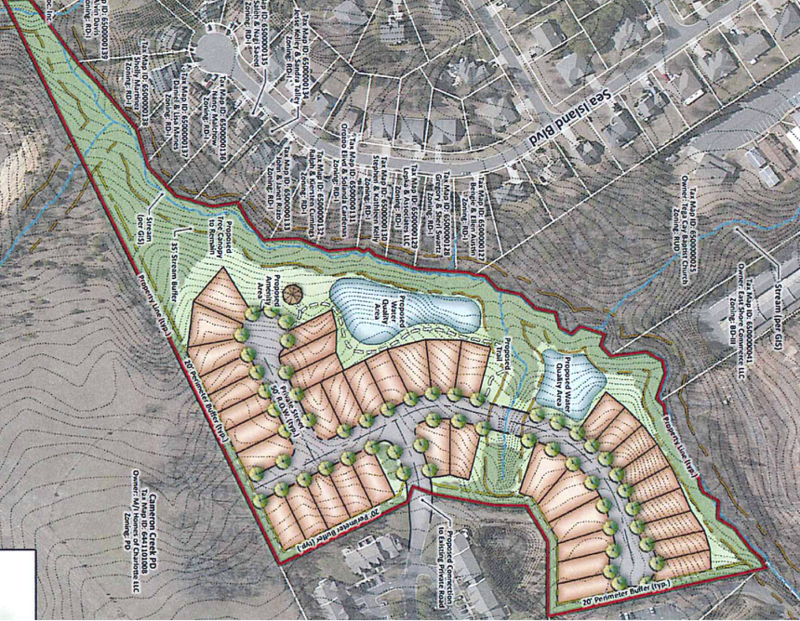 It’s the first planned new construction in Southbridge since Lincoln Harris and Cato bought the property that included the Knights Castle site in Fort Mill. RoundPoint Mortgage is also expecting to add another 1,100 jobs after the building is complete. 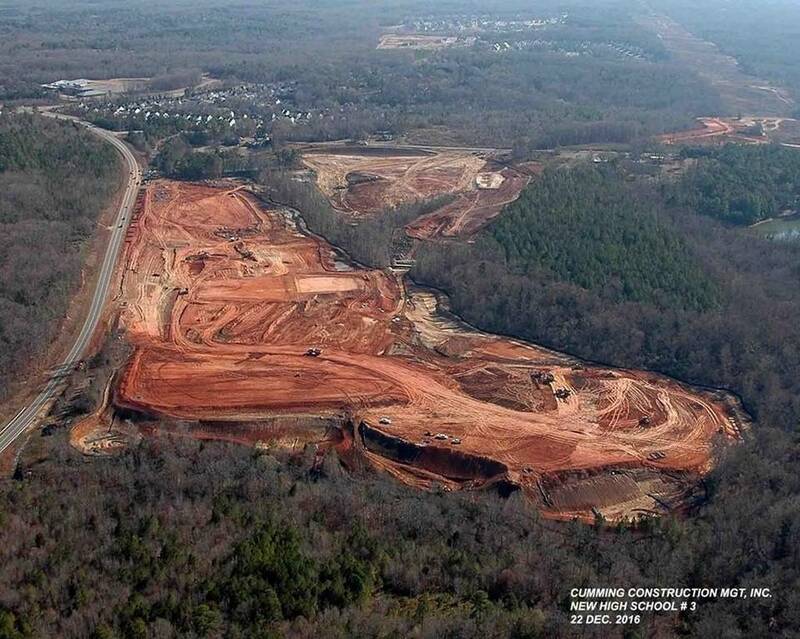 This is the clearing along the Fort Mill Bypass (aka The Southern Bypass) just south of S. Doby’s Bridge Road. 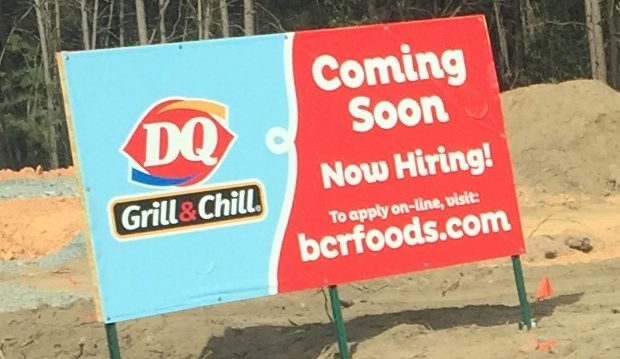 A new DQ Grill and Chill is being build on 160 in Tega Cay, between Aldi and Wal-Mart. There is no projected opening date available yet. 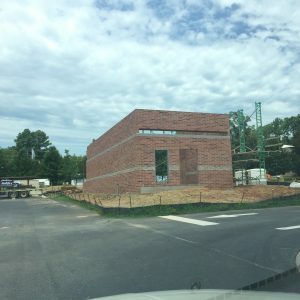 We have been seeing a lot of building around Springfield Town Center, where the Harris Teeter on Springfield Parkway is located. 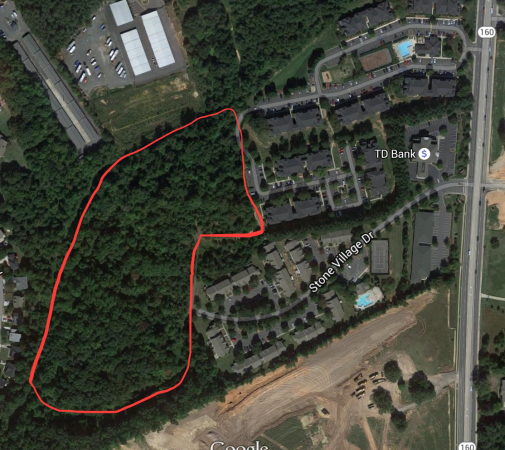 It appears that all of the outbuildings directly behind the Harris Teeter are planned for retail office space. The building located closest to Family Trust FCU is going to be Klopenstine Dental. 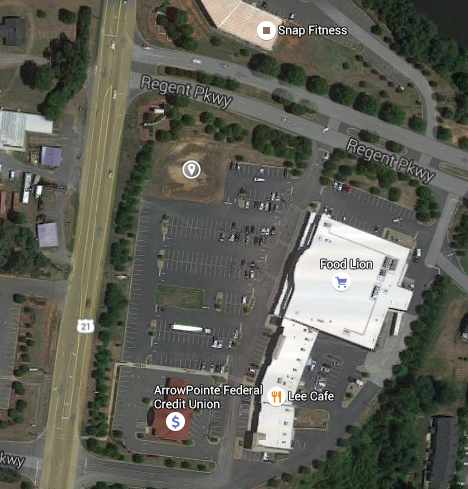 The address for that building is 452 Mercantile Pl, Fort Mill, SC. While currently unconfirmed, this might be the new office for Dr. Mark Kopenstine, DDS whom currently is part of Shiland Dentistry in Rock Hill. 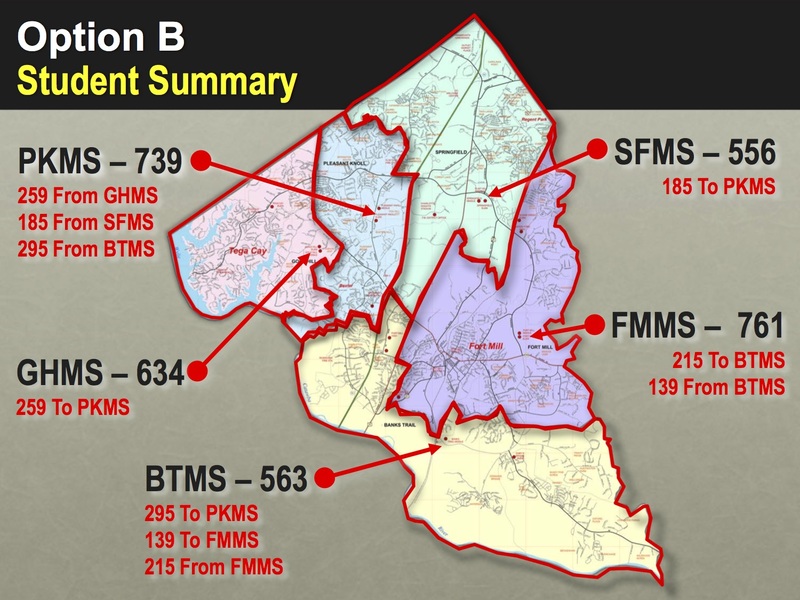 On Oct 11th, a Community Meeting was held to reveal the middle school boundaries for the school year starting 2017. 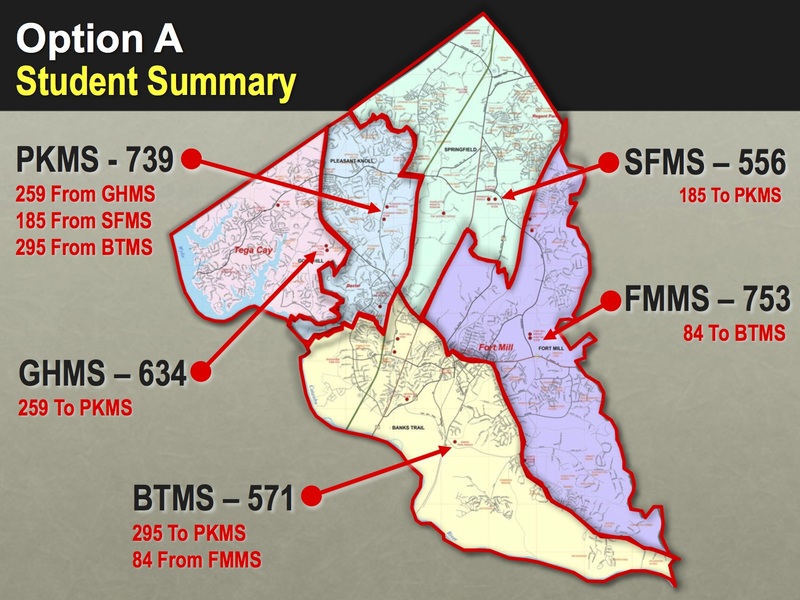 See images below to review the current and proposed options. From Oct 11th-31st, the Feedback period is open for comments from the public. Click Here For Online Feedback From. 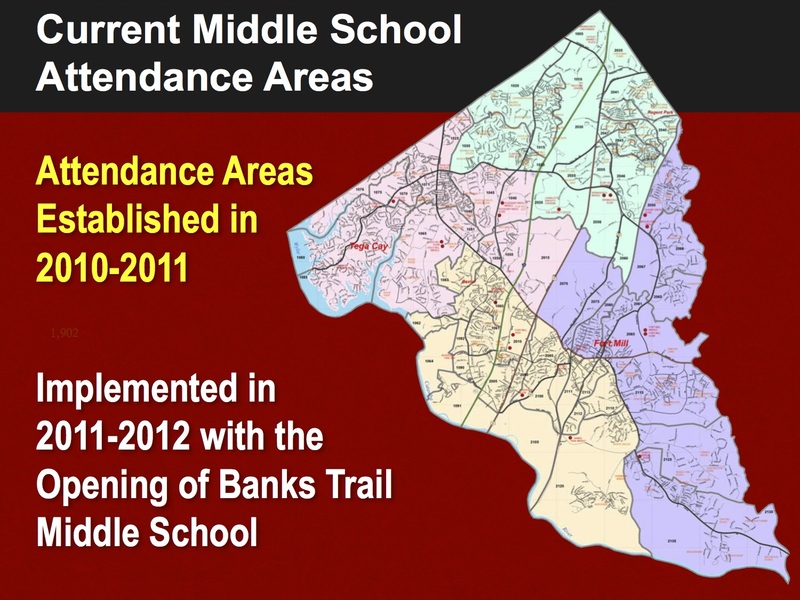 On Nov 1st, the Administration presents middle attendance area recommendation to the Board of Trustees. From Nov 2nd-14th, a second Community feedback is requested based on administration’s recommendation. 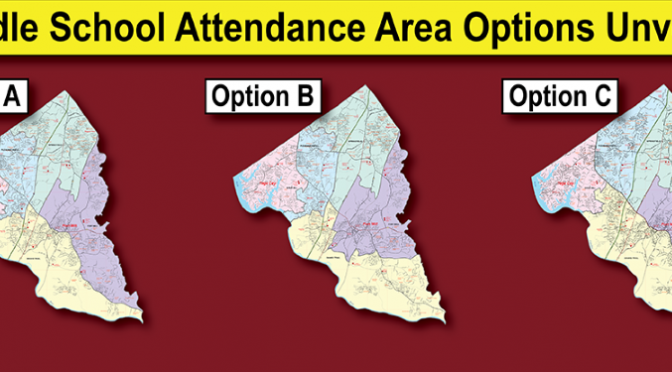 On Nov 15th, Current members of the Board of Trustees take action on the administration’s middle school attendance area recommendation that was presented on November 1st. 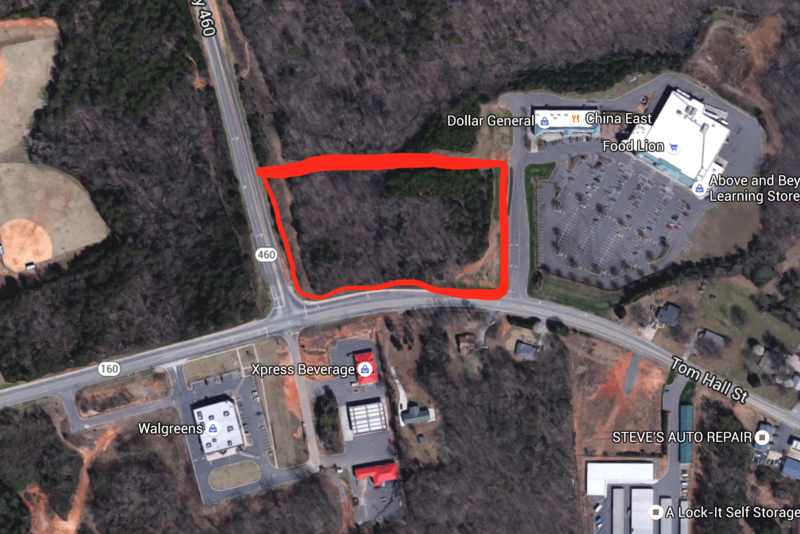 A Waffle House is coming to Fort Mill. It will be located at the entrance of Regent Park, in the parking lot of the Food Lion (former Bloom grocery store). The property located at 1014 Regent Pkwy in Fort Mill is has been owned by them for at least a year. No word on the grand opening date has been made public yet. A new QT is still in the approval process with the city of Fort Mill. 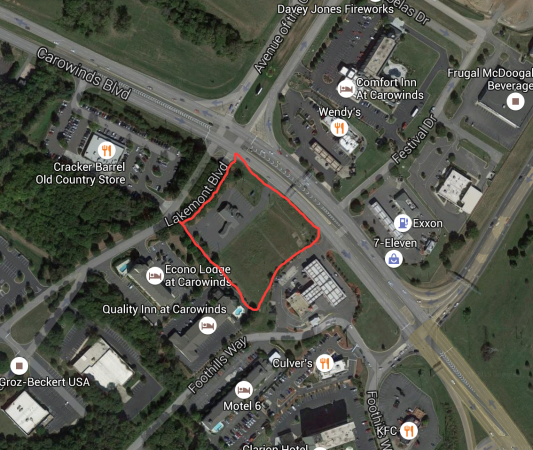 It is planned to be located at the corner of Springfield Parkway (SC 460) and SC 160 (Tom Hall Street). 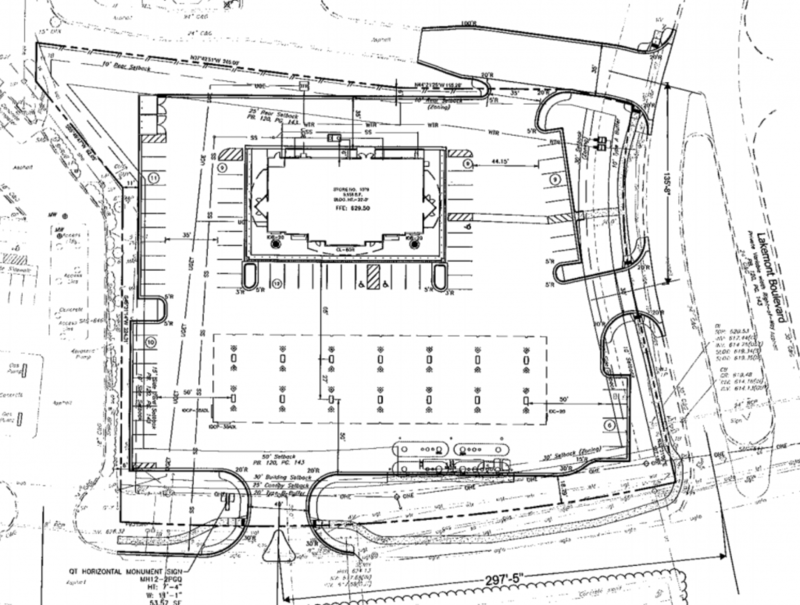 It is planned to be in the NorthEast corner of the intersection, just West of the Food Lion. 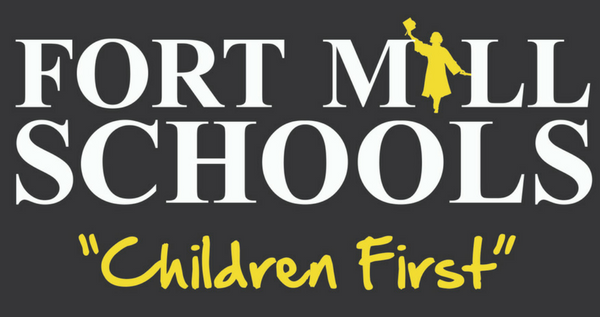 On May 19th, the Board of Trustees approved to modify school start times (bell schedules), starting with the 2015-2016 school year. The following chart reflects the new bell times versus current bell schedule. 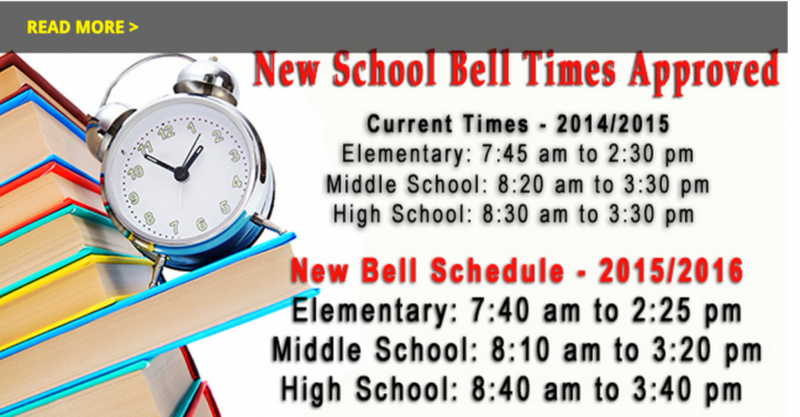 The new bell times will begin Monday, August 17, 2015, which is the first day of school for the 2015/2016 school year. 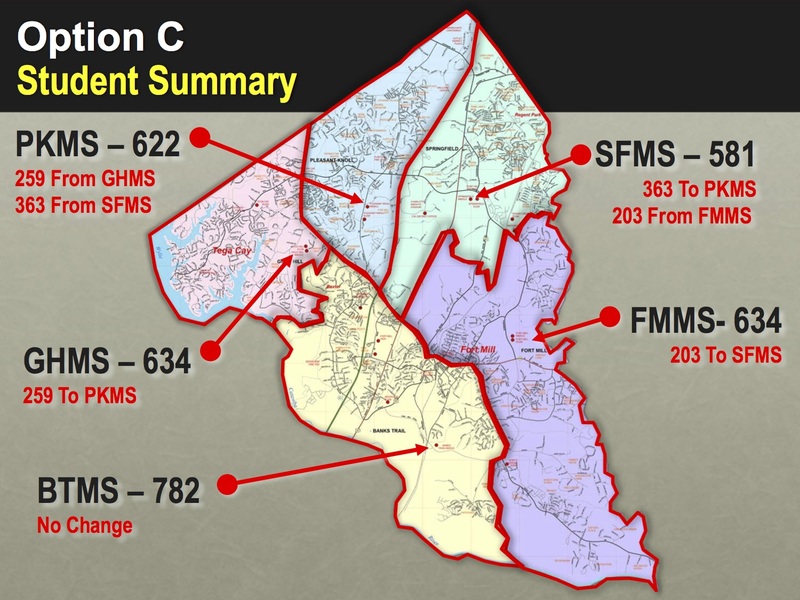 Tega Cay is looking to annex a development planned by Essex Homes. From the preliminary plans, the lot appear very small and the entrance to the community is South Village Drive, which currently ends at the Villages at Polmetto. The current name appears to be Enclave, but may be the Enclave at (something). Quicktrip is planning to expand with another location. This location will be located at 271 Carowinds Blvd, located at the corner of Lakemont Blvd and Carwinds Blvd. This site is currently 2 lots, the home of Title Max and a vacant lot adjoining the Kangaroo Express.